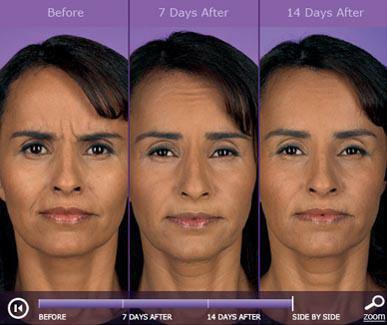 What can be said about the wonder drug Botox? Every day it seems a new condition can be treated with this little protein. 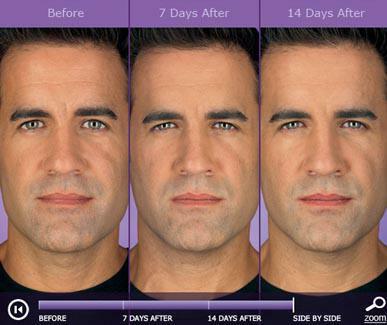 It is the number one cosmetic treatment in the United States. It literally stops your body from making certain wrinkles by stopping the movement that causes them in the first place. Botox or more correctly Botox Cosmetic is the brand or trade name for onabotulinumtoxin A. It was the first of a new class of medications that were derived from one of the eight serotypes of purified botulinum toxin. It is NOT the bacteria itself and it is impossible to get botulism (the disease caused by the bacteria) from treatment with Botox. Other types of serotypes are Dysport and soon Puretox. All of these have a similar mechanism of action but important structural and manufacturing differences that should be discussed prior to treatment with any of these other products. Myobloc is an example of a type B serotype but the cosmetic use of this material is limited. Botox has the longest safety track record of any of the neurotoxins having been approved in the US in 2002. Botox works by preventing the release of the neurotransmitter Acetylcholine thereby temporarily preventing the movement of the treated muscle. 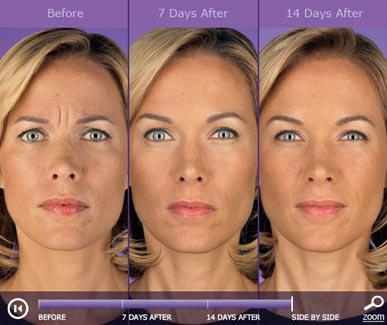 The effect of Botox is seen within a few days with the maximum effect seen at 2 weeks. 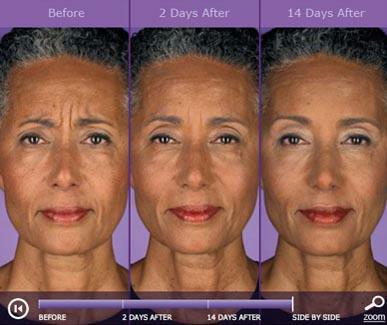 The total clinical effect of Botox is around 4 months, although obviously, this varies from patient to patient. Of interest is that when treatment is stopped, the actual neuromuscular junction returns to its pretreatment state as if no treatment ever occurred. So literally you are stopping time when using Botox. 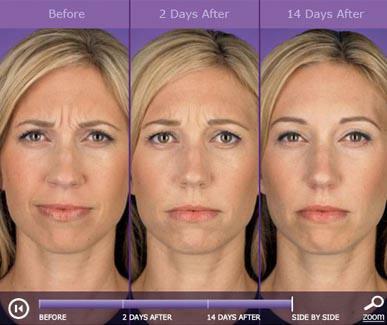 One of the main benefits of treatment with Botox is that if you don’t like the result it is not permanent. Of course, the vast majority of patients love their treatment but this is a common starting point for patients looking to try a cosmetic treatment. 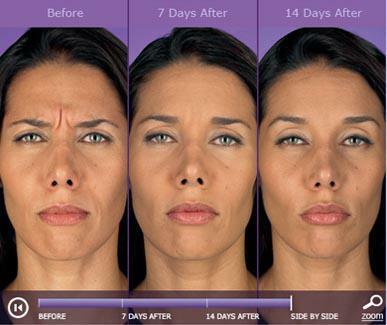 When done correctly, Botox should give you a very natural look. Contrary to popular belief, Botox should not result in a frozen or static look. In addition to softening or erasing some wrinkles, Botox can also be used to elevate the brow as well as the corners of the mouth. The so-called 11’s located between the brows is the most common area treated with Botox. This area, known as the Glabella, actually consists of 4 muscles that all need to be treated to have the maximum effect. Different patients have different strengths and sizes of these muscles and commonly men require more units in this area than women. That’s why Dr Mest only charges by the unit, so you only have to pay for the amount that you, individually, require. Other very common areas to treat are the horizontal forehead lines as well as the lines near the eyes, the so-called “crows feet”. In addition, bunny lines of the nose are easily treated with Botox. Botox can also be used to elevate the brow as well as the corner of the mouth. It can also be used to treat an overactive muscle such as the obicularis oris and mentalis muscle that results in a pebbly chin appearance.